Spinal stenosis products are sold to many patients who are desperate to avoid surgical treatment, but few of these offerings are actually effective for treating central vertebral stenosis. Stenosis care and treatment products fall into 2 distinct categories: those claiming to have curative effects and those which are marketed simply to provide symptomatic relief. Products that make curative claims are the ones most often categorized as scams and are usually sold unregulated as health and beauty aids online or in the back sections of low-quality magazines. People who buy most of these products must have a fundamental lack of understanding of what stenosis truly is or else they would not waste their money on devices that hold no hope for providing a cure. Products that claim to provide symptomatic relief might be effective to some degree at minimizing discomfort and therefore deserve the benefit of the doubt when being evaluated by any objective source. This essay examines some of the more common stenosis devices and treatment products that are available to help relieve the pain and neurological effects of central spinal stenosis and foraminal stenosis. Many stenosis products claim to provide general relief from back or neck pain from a variety of diagnoses, as well as from nonspecific causes of discomfort. These products are often topical in nature and consist of creams, ointments, gels, lotions, salves and balms that are applied to painful anatomical regions to provide soothing comfort. We have found most of these topical products to be safe and relatively effective, although heat and ice seem to work just as well and are certainly more economical. Some products are ingested orally and might consist or herbal or other natural ingredients designed to relax muscles, calm nerves and provide other health benefits. We have seen very few of these products that work to any noticeable degree. Some of these products are not safe, since they contain questionable ingredients or substances that might negatively interact with foods and medications. Some devices, such spinal stenosis braces, might assert that they provide general symptomatic relief when worn, but there is no logical in these claims. 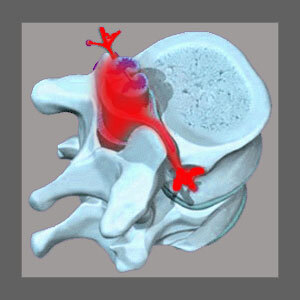 Stenosis is an interior condition of the spine that will never respond to any type or degree of bracing. The fact that these products are typically Velcro straps with some cheap padding adds insult to injury when considering the high pricetags of many of these unconscionable devices. Finally, some fitness products and exercise devices claim to help minimize general and specific forms of back and neck pain, such as that caused by spinal stenosis. 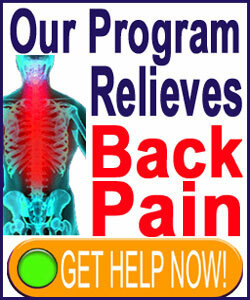 While exercise is great for the body, it will not do anything to act on the interior of the central spinal canal. Therefore, any relief provided will be temporary and localized, but all-in-all, one can not argue with the general benefits of exercise therapy, if it provides any relief at all. There are really no risks and the patient is likely to experience other rewards from regular use of any fitness apparatus, if not marked pain management. Products that make curative claims for spinal stenosis usually fall into higher price point categories, such as inversion systems and other types of at-home spinal decompression devices. These products are unlikely to provide any real change in the spinal anatomy for central stenosis, but may help relieve some types of foraminal stenosis, depending on the causative mechanism causing the loss of patency. However, even these possible benefits are a stretch of accepted medical logic and most patients who invest in these costly machines will not enjoy anywhere near the benefits claimed. This has been our experience dealing with the firsthand experiences of back and neck pain consumers for the past 2 decades. A few back braces might also claim to provide stenosis cures by changing the alignment of the vertebral column over time. We have seen no evidence that these devices do anything at all, except scam consumers out of lots of money for poorly-made products that grossly distort the limits of their efficacy for the sake of making money. Worse still, we have actually seen some of the worst offenders in this product category sold openly in some less reputable chiropractic offices. Shame! The final category of stenosis products that claim curative benefits fit the category we call “assorted garbage” for lack of a better defining term. These products consist of various types of industrial-strength rubber bands, plastic devices and self-treatment systems that do nothing at all to change the anatomy, but certainly will take a bite of out the patient’s bank account. These devices are often marketed on television, on programs that offer late night infomercial cures to insomniacs and those who are truly hopelessly lost in their fruitless treatment efforts. Some patients enjoy good short-term results from the use of these devices and products, despite the lack of reasoning for them enjoying any benefits at all. When these patients write to us, asking why their relief was so short-lived, we gently remind them of the power of the almighty placebo. A placebo response is defined as a benefit gained from a treatment, despite the fact that the treatment does nothing at all to directly act on the problematic condition. Instead, the benefit is derived due to a psychoemotional response that actually causes changes in the anatomy to simulate the claimed effects of the promising product or therapy. Although this is amazing, the results frequently last for very short durations, once the mind comes around to the conclusion that the product is probably worthless and did nothing after all to provide relief. However, we have seen some long-lasting placebo effects demonstrated by a slim minority of patients. We remind all readers that every type of treatment can function as a placebo, including professionally-provided methods of care, such as chiropractic, injections, drugs and even surgery. In fact, if it were not for the powerful placebo effect, the vast majority of back and neck pain treatment would provide no benefits at all, since the techniques used are often illogical from a scientific viewpoint. As we cite in many of our writings, it is ironic that so many doctors will completely understand and agree with the power of placebo effects within the healthcare system. They concede that the mind can do all manner of miraculous things when it comes to changing the functional and health of the body. However, it is too bad that most of these very same doctors can not bring themselves to see that so many back and neck pain syndromes are actually caused by the mind, when all along, they are exclusively focused on treating incidental irregularities within the body. If this subject matter interests you, please read our in-depth coverage of alternative treatment for psychogenic stenosis pain. We caution consumers to beware of the many disreputable products marketed towards them. If finding a cure for spinal stenosis was as easy as a simple purchase from a website or from a television infomercial, then we would all already be cured. If you are pursing symptomatic care and understand the limits of a product that might help in this regard, then by all means, proceed with purchase as long as the product is safe, well-made, fairly-priced and demonstrates an acceptable degree of efficacy. However, be extremely wary of products that make miraculous claims, and especially those which claim to provide cures for spinal or neuroforaminal stenosis through completely impossible means. At the end of the day, the only thing miraculous about these products is that their inventors can sleep at night after cheating so many desperate people out of their hard-earned money. If you would like to share an actual experience with a stenosis-related product, device or treatment, please accept our sincere invitation to publish your story on our social media pages. We can certainly recommend our own proprietary pain relief program, since it is effective, safe and lauded by many notable healthcare providers around the world. If you enjoy this website, you will love our program.